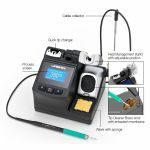 JBC Tools CD-1SE Lead Free Soldering Station with T210 handpiece, C210-001, and C210-008 tips. JBC Tools MSE-A Electric Desoldering Module is indispensable for a complete desoldering process. 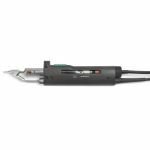 JBC Tools TID-A Digital Thermometer is a high precision thermometer that provides quick response readings of soldering tip temperature. 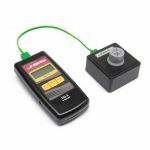 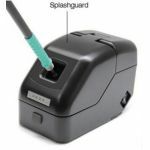 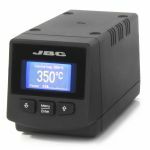 JBC Tools MS-A Electric Desoldering Pump Module is indispensable for a complete desoldering process. 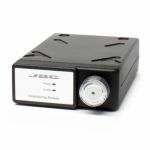 JBC Tools CD-1BQE soldering station comes with handpiece (T245-A), Cartridges not included. 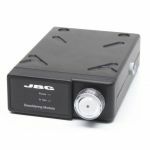 JBC Tools CD-1SQE Lead Free Soldering Station with T210 handpiece.